Road crashes are a leading cause of death worldwide. That’s why transportation organizations are joining the global Vision Zero effort to eliminate traffic fatalities and severe injuries by delivering safer, more reliable roadways. Transportation agencies can take these 6 actions to help meet Vision Zero safety goals — saving lives and saving money. Need help making your roadways safer? AgileAssets® Safety Analyst™ is an enterprise software solution that helps you achieve your roadway safety goals and Vision Zero objectives. 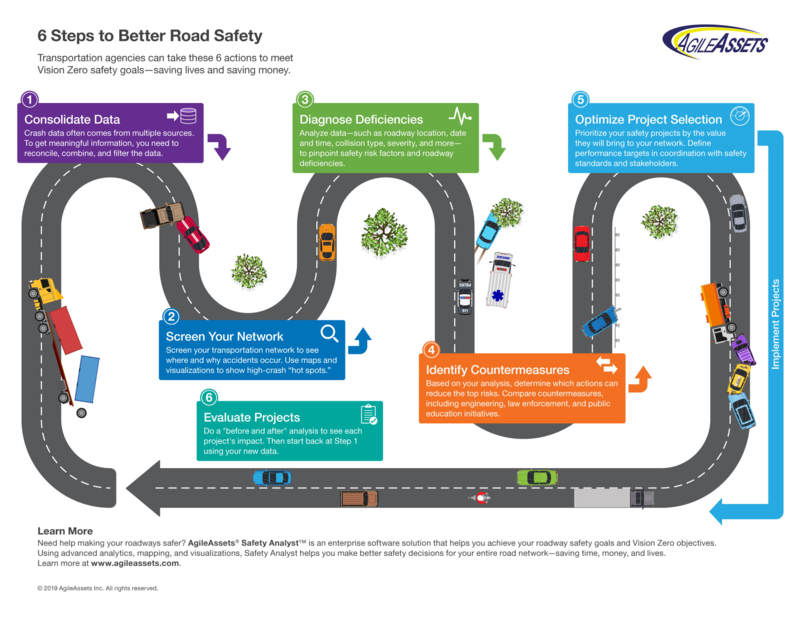 Using advanced analytics, mapping, and visualizations, Safety Analyst helps you make better safety decisions for your entire road network — saving time, money, and lives.